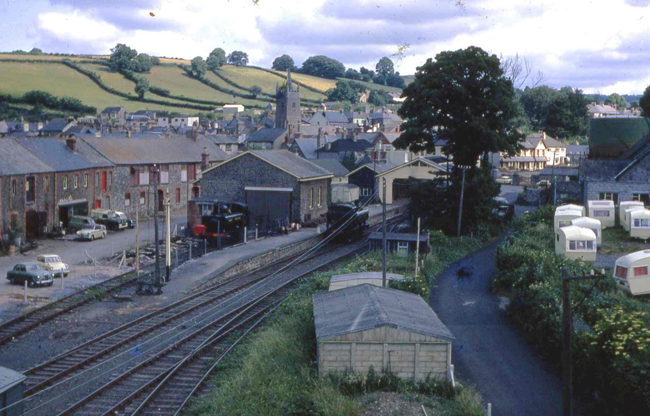 The Friends of Ashburton Station are ploughing on with huge determination in their attempts to both slow down and hopefully to reverse the Dartmoor National Park Authority decision to destroy the last remaining Brunel branch terminus for a few shops, housing and car parking. They have had another success in that they have been able to put the draft ‘Masterplan’ back into draft form by a number of technical objections but clearly this is just a holding operation. Unfortunately, the people who have spearheaded this campaign so brilliantly are now starting to suffer from burnout and they badly need more support on the ground to move things forward and keep the energy levels high in this fight. Please consider offering some active support by volunteering to help them in some way. I was in Ashburton today and sadly I saw no reference in any buildings in the town centre to a campaign to reinstate the railway. No leaflets, posters or anything. I am sure things are happening behind the scenes to activate the residents but I did wonder if more could be done to make it all more visible? Perhaps it is just lack of folk helping out but I tend to feel that, at this stage, there needs to be a much more visible presence in the town if the outcome we all seek is to be achieved. 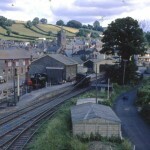 Ultimately, it is likely to be down to the local community as the crucial factor, rather than us enthusiasts, whether the democratic will is for the reinstatement of a railway connection with the SDR and Network Rail and they will need to be prepared to be very vocal and determined to fight for it if they are to be successful. My instinct is that that is the way the campaign should go now and that the town needs to be inundated with posters and petitions and notices of meetings so that the council will be forced to change their mind and support the railway plan being designed by the SDR. So, if we really do want to win this fight, we all need to get out there and do something. I live in Bristol but send me a few hundred leaflets and I will willingly go door to door and talk to people because time is running out fast and I wouldn’t want to feel that I failed to do my bit to save this irreplaceable branch terminus. Anyone want to join me?